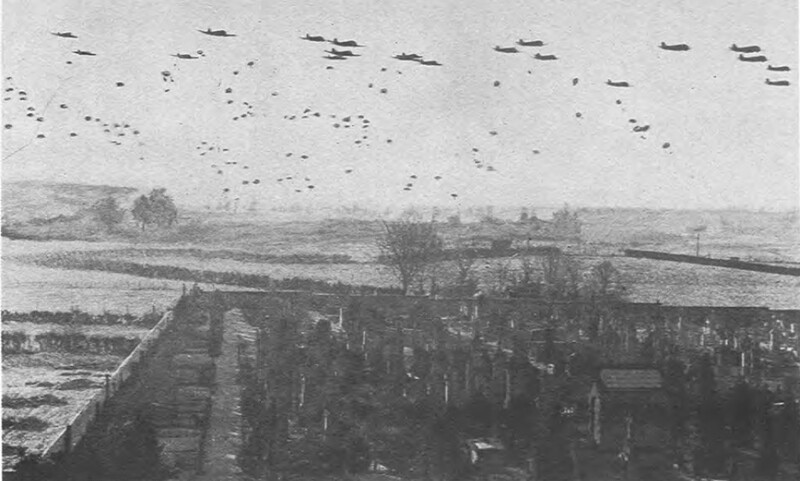 The story “Home For Christmas” is historically grounded in the World War II history, and specifically in the history of the 502nd Parachute Infantry Regiment of the 101st Airborne Division. 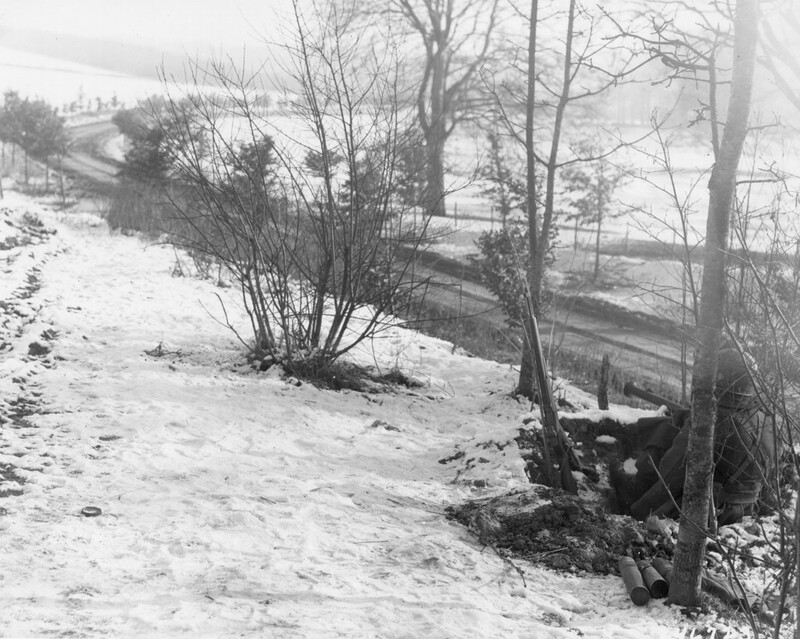 For details on the history, just type “502nd 1st Bastogne” into a web search engine such as Google. You will find a wealth of links. 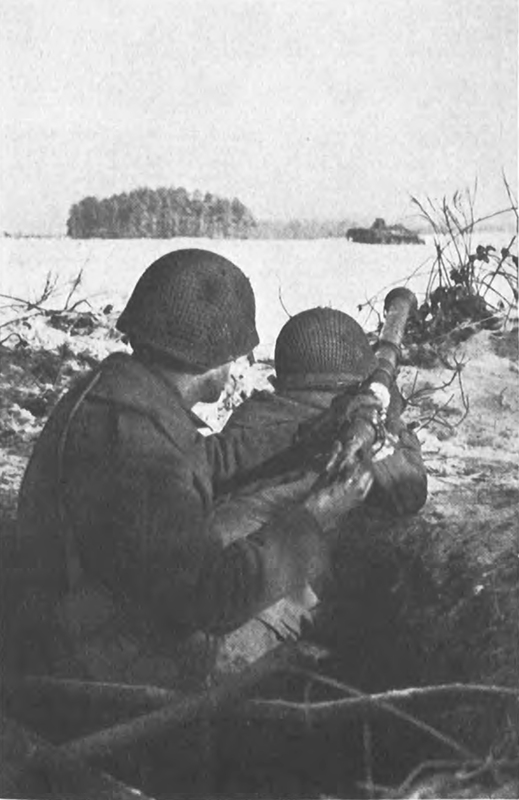 The details of the Christmas Day Battle of the 502nd are found in several places on the web, and in a book called “Bastogne: The First Eight Days” by S.L.A. Marshall, who was the Army’s Chief Historian during the war. The text of that book can be found on the web, but the ‘plates’ – pictures – do not appear to be on the web. 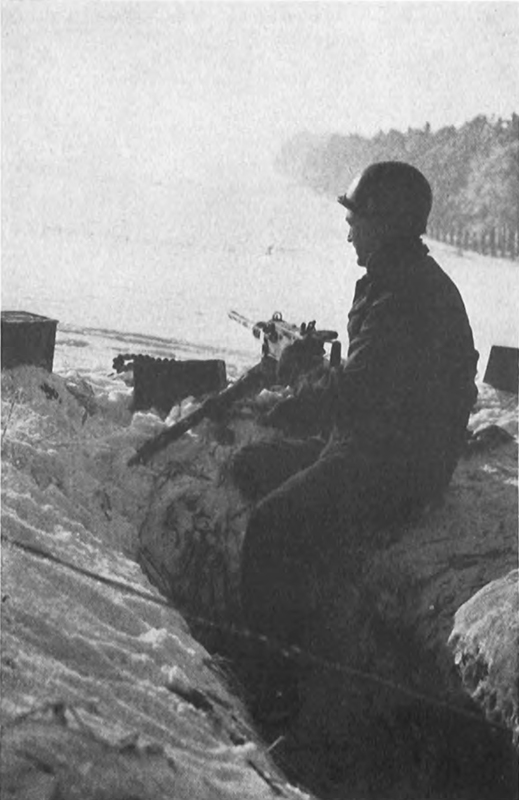 I have scanned several of those pictures and placed them on this page, along with a few other photos of the battle from around the web. I’ve included brief comments with each photo. The cover photo from S.L.A. 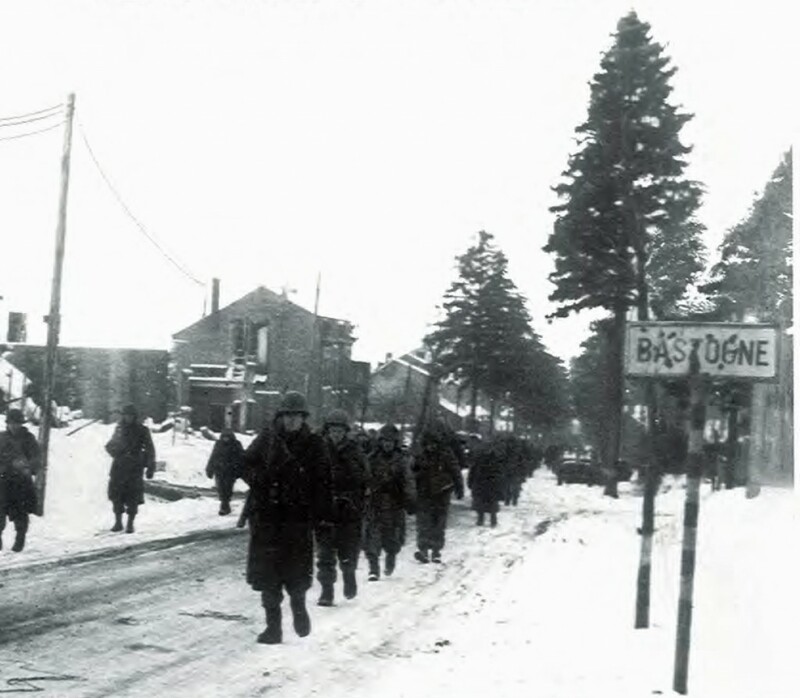 Marshall’s “Bastogne: The First Eight Days” showing soldiers of (apparently) the 101st Airborne Division moving through Bastogne to take up defensive positions around the town. 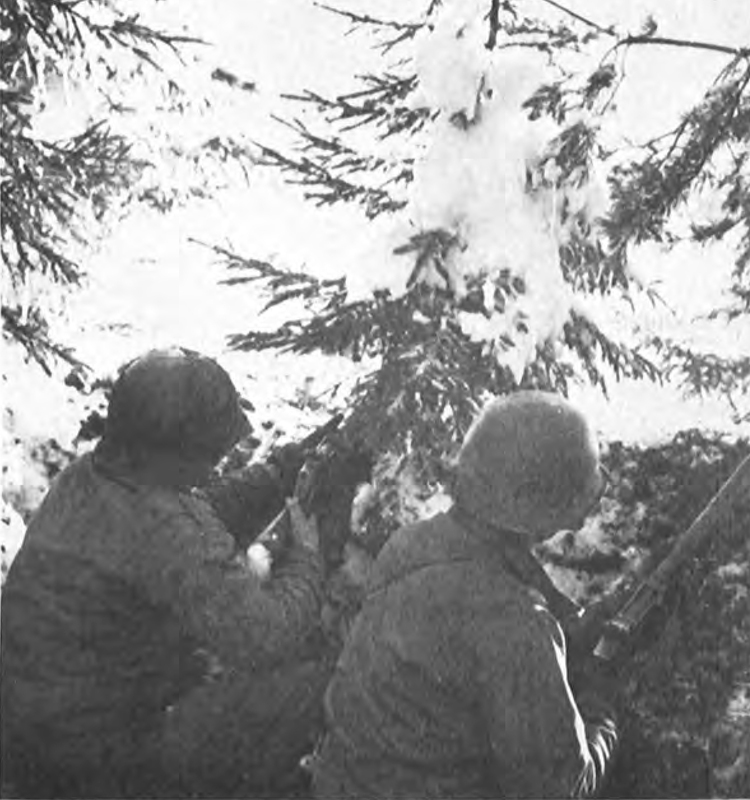 (Plate 40) Men on guard in a pine plantation near Bastogne. 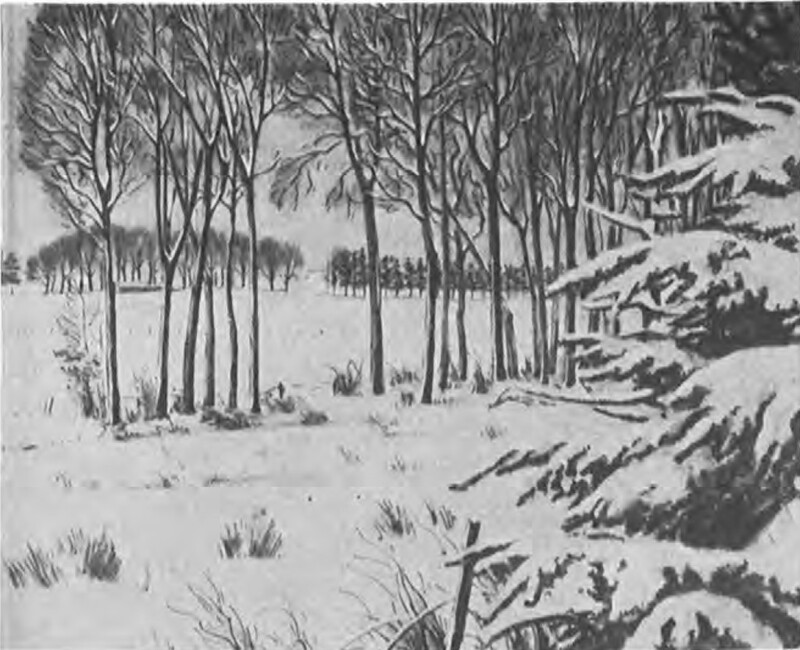 The pine forests provided excellent cover, except that the spintering trees made for many wounds under artillery fire. 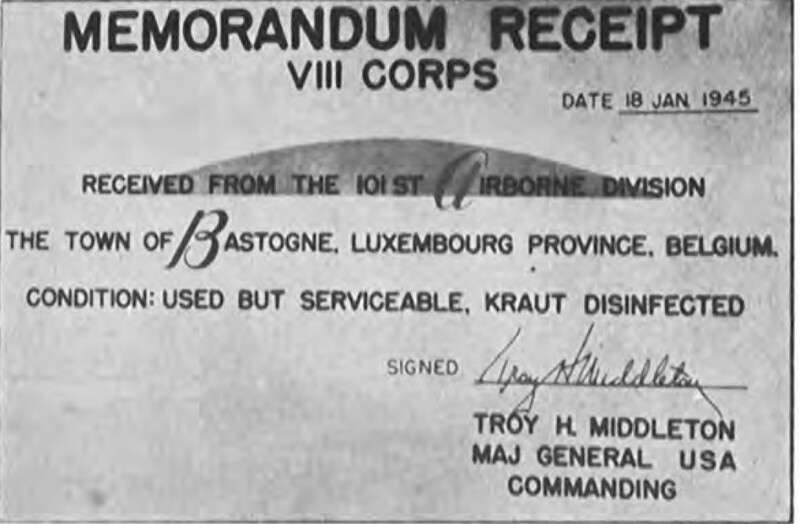 (Plate 41) The chateau at Rolle, 502nd PIR Command Post. This sketch, by T. Sgt. Olin Dows, who assisted S.L.A. 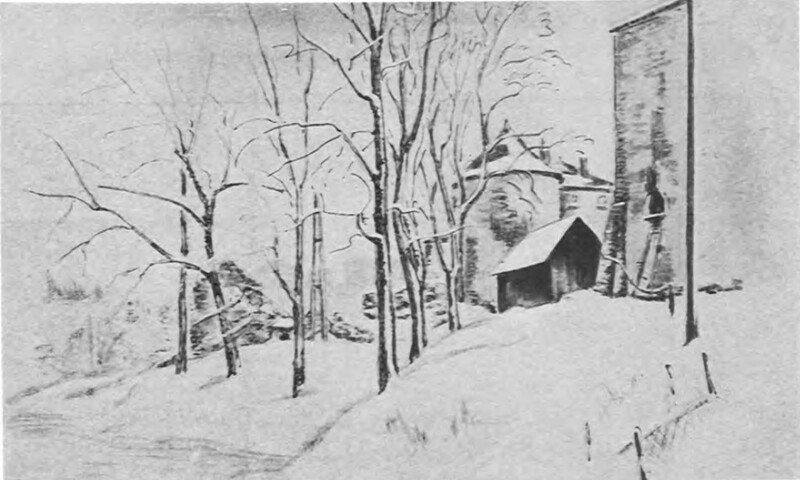 Marshall in his research for the book, shows the chapel and the ‘shed’ at the chateau.